Michael Lazaroff: There For the Music - Blue Note At Sea - The Hippest & Coolest Jazz Event of the SEASon! ECP’s president spoke with Lee Mergner in 2017 about the creation of Blue Note at Sea and the unique aspects of each of the jazz cruises he produces. Yes they were. The way the process worked and has been working, is I sketch out roughly what I’m looking for. And in terms of the larger names, I pick those because that is not terribly difficult. It doesn’t take years of jazz expertise to decide that you want Chick Corea on the cruise. Right? So I’m able to do that. But then, balancing it and finding interesting groups…the best example this year is that Don thought that we should have the Blue Note All Stars. Which is something that I’m not sure that if I sought them out that I’d be able to procure them for the cruise. It’s different if Don does it, and by doing that we wind up with five or six terrific artists who can perform in their own right and in various other configurations on the ship, so, so we gain lots of music, lots of shows by that. It’s very difficult. We do testimonials. I always tell people that like the movie Same Time Next Year, or like going to camp, they’re going to see people for a week that they probably, or may only see them just for that week. But the minute they see them, the relationships are all rekindled. 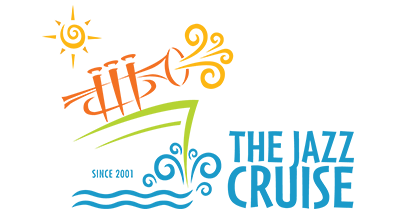 On the Smooth Jazz Cruise, I can walk on stage—which I do very briefly to say hello to everybody—and I will look in the audience, and I will know where various people are sitting, because they sit in the same seat every year. And, if not the same seat, absolutely the same area. And it’s extraordinary. 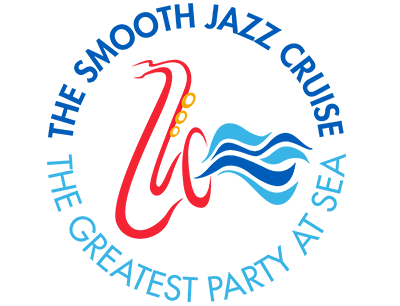 Twelve thousand people have sailed with us on our jazz cruises four or more times. How many occasions are you aware of where people do it four times, unless you own the condo? It’s a fascinating sociological concept. But it is a family kind of thing, it is a friendly environment. People on our cruises, because it’s jazz, and because they all love jazz, it, it breeds inclusiveness. It breeds people just enjoying life. [There’s] not a lot of hostility. 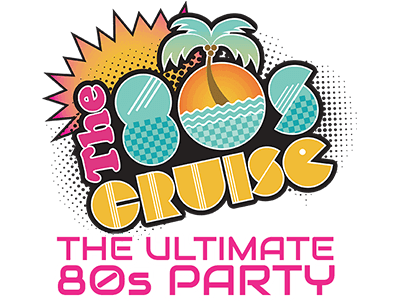 It’s just people there to really enjoy the music and without a doubt, the single most powerful element of our cruises, which is not on the website, is exactly what you just said. It is the camaraderie among the guests. When was the last time you spent seven days with two thousand people who had the exact same musical interest that you do? And it is just an amazingly powerful thing. And, very often, I will say on stage, and I did it this year for sure, that the world’s a crazy place. The world is nuts. But for seven days, we don’t have to worry about that because we are among people who are kind and attentive and inclusive, and they’re here to enjoy music and to enjoy each other. So for seven days, it really is a vacation from the craziness. You’ve worked with the Holland America line for many years now, but this past year you moved to Celebrity. What has the transition to the new line been like? Assuming double occupancy it’s around 2,100. Most of our cruises are less than that because we probably have a larger number of singles and fewer triples and quads than a normal cruise would have. So we are right around 2,000 passengers. Which, when we do seven cruises, that means we are entertaining 14,000 people. Three meals a day, seven days a week, plus entertainment. It’s an interesting business. Forever and ever, from the time that we first started cruises, on every cruise that we’ve ever done except for the 80s—only because we haven’t figured out how to do it—we do a gospel show. Typically, it’s the first morning at sea. And it is gospel music performed by our folks. It’s a very inspirational thing. Obviously when you talk about gospel music, there is a religious bent to it, but it is not intended to be a religious experience. It is just a tribute to this fabulous music that, unless you are jaded, you have to realize was a predecessor to jazz. Gospel clearly is either at the root of jazz, or, or part of the [mix]. The Jazz Cruise is going to New Orleans this year (2018). So we’re going to have lots of that there. I’m pretty excited about that. Trombone Shorty. Jamie Cullum. We’ve tried numerous times. Pat Metheny and Chick Corea [in 2017 and 2018] checked off a lot of boxes we’d had. We’ve had Herbie Hancock, we’ve had Keb Mo, we’ve had McCoy Tyner. Sonny Rollins would be great. I haven’t as yet been able to secure Cecile McLorin Salvant and I would like that very much. We’ve been lucky in that, over the years, as our programs mature and the word among musicians is such that you’re going to be okay, nothing’s going to go wrong when you’re on the cruise. So we’re able to get almost everybody. Once in a while there’s somebody who comes around. We just signed Steve Tyrell for the Jazz Cruise. He’s someone who never wanted to sail, and I finally convinced him to sail. I’m really looking forward to it. He’ll be spectacular. Doing it from one year to the next, I notice the incremental things you do one year to the next to improve the experience. What were some of the things that you took away from the first sailing with Blue Note at Sea?